Though beacons have been around for long, marketers across various verticals even today, often associate this BLE based technology as one that it used to trigger in-store coupons or notifications. However, things are fast changing, as retargeting is quickly emerging as one of the most compelling use cases of beacons. Not surprising, given the huge demand among customers for instant gratification and delivery of personalized content. In this blog we will talk in detail about why we will see more businesses leverage beacons to bridge offline and online data at scale in 2017. We will also talk about some successful offline-to-online retargeting campaigns that leveraged beacons and a basic outline on how you can leverage our Beaconstac platform to do the same. Why and how will businesses leverage beacon-based retargeting in 2017? Retargeting vs Beacon-Based Retargeting: How do they differ? What is it? – This typically revolves around pushing an ad to a device (laptop or PC) after a consumer visits a website and expresses interest in any merchandise that is available online. It is important to note that, the interest expressed by a user in this case is often tracked by taking note of the movement of the cursor over a particular item or abandonment of virtual shopping cart by him/her after having added certain products to it. Nature of data provided – The data provided by retargeting technique is less granular and deterministic when compared to the proximity data provided by beacons. Basic prerequisites – One of the prior requirements here include placing a small, unobtrusive piece of code on your website. Every time a new visitor comes to your site, the code will drop an anonymous browser cookie. This way, when the same visitors visit your website at a later stage, these cookies will keep your retargeting provider informed on when to serve ads. This also helps you ensure that your ads are served, to only to users who have previously visited your website. What is it? – This primarily revolves around the use of Bluetooth-powered beacons to send out push notifications via brand specific apps or Chrome browser app to mobile devices of users who have agreed to receive certain brands’ communications. To give you a better idea, here is a typical example – say, a user visits a physical store and walks into the Women’s Department. When he/she opens the brand’s mobile app on his/her device, the beacon nearby will trigger contextually relevant push notifications on his/her mobile device. In the case of Eddystone beacons, these notifications could direct them to a contextually relevant webpage, where an online retargeting tool has been inserted. While beacons help brands gain deep insights on consumer interests and buying intentions, the online retargeting tool helps them target users with customized ads online. Nature of data provided – Beacons help brands gain insights on consumer behavior in the real world with the same granularity and precision that was previously possible using online data. In fact, it is this granularity and deterministic nature of the proximity data that makes it easy for businesses to gain an indepth understanding of the what users have been doing inside stores, in specific departments and the kind of products they have interacted with. Particularly because no other company including Google and Facebook are capable of providing data with this kind of granularity today. (iv) Install a mobile app that is compatible with the beacons. For example, if you plan to install iBeacon compatible beacons, then the user needs to have the corresponding beacon-enabled app on his/her device (both Android and iOS) to receive notifications. On the other hand, if you plan to deploy Eddystone compatible beacons, then all the user needs to have on his/her device (both Android and iOS) is the Chrome browser app. Apart from this, you also need to add an unobtrusive piece of code to your webpage (the one broadcasted by Eddystone-URL) to track the user. 1. Beacons provide businesses insights based on 70% of users’ awake time activities against the 30% used generally for online ads – For starters, ads displayed to customers in today’s age are predominantly based on their online behavior, which accounts for about 30% of their awake time. Thus, brands these days are missing out on the remaining 70% of awake time, which primarily revolves around how users spend their time in the real world. Proximity data provided by beacons help brands cover up for that remaining 70%. 2. Mobile internet accounts for 70% of global media consumption – Over the span of 2016, mobile internet has been reported to have grown at a very fast pace at the expense of all other media. According to a forecast by Zenith’s Media Consumption, mobile internet accounted for 70% of global media consumption, while the use of a desktop for internet has fallen by close to 16%. The report also stated that on an average, people around the world were estimated to spend 86 minutes a day using the internet on their phones, compared to 36 minutes on a desktop in 2016. Thus, while retargeting in general was aimed at delivering ads to users based on the kind of websites they visited on their desktop, the recent change in trends that saw mobile overtake desktop as the preferred device for internet consumption has left businesses on the lookout for a much advanced retargeting technology that can put the ‘location’ factor into use as well. This is where beacons come into the picture. 3. Number of proximity companies starting out has been on the rise since 2015 – While the main boost happened after the release of the iBeacon in 2013, 66 new Proximity Solution Providers (PSPs) were founded in 2016 up until Q3, according to Proxbook Report Q3 2016. Adding on to that, experts predict that we will continue to see a number of new players come into the industry with innovative products in 2017 as well. In fact, this steady growth in the number of proximity companies has made beacon-based retargeting a powerful and more viable approach to push online advertising forward. Particularly because of the sheer volume of data that beacons can provide businesses with these days. Moreover, a lot more marketers have begun to understand the true value of location data today. 4. 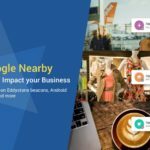 Beacons provide more accurate and reliable location data compared to GPS and other location tech – To give you a better idea about the kind of granularity possible with beacons, let’s take a look at this – Using GPS a business can easily track if a user is in New York or Manhattan or SoHo. But beacons can help businesses learn if that user is actually in a store, if so in which department and for how long. If you are looking to learn in detail about how GPS measures against iBeacon technology, then head to one of our earlier blogs. Objective: To run a retargeting campaign to target customers who have visited your store, with ads on social media platforms such as Facebook, Instagram etc. Every time a user walks into the store and clicks on the URL broadcasted by the Eddystone beacons to open the webpage on his/her device, a cookie (via the online retargeting tool) gets stored in the user’s browser. This data is then pushed back to the server end of the business. Now, the next time a user comes online, the server will be able to detect the user on Facebook or Instagram and retarget him/her with relevant ads on products from your store. How does beacon-based retargeting work? We would also like to point out that some of the leading businesses have already started leveraging beacons for retargeting. In fact few of the most successful beacon-based retargeting campaigns were the ones run by Knorr soup, a Unilever product in Sweden and the one by Coca-Cola in CAPA Cinemas in Norway. We will be publishing an in-detail campaign blog (along with screenshots) on how to go about setting up a beacon-based retargeting campaign on the Beaconstac platform, over the next few weeks. Meanwhile, if you are planning a beacon pilot, take a look at Beaconstac, that includes everything you need to get started. Using Beaconstac you can set up your own campaign, without a developer’s help!